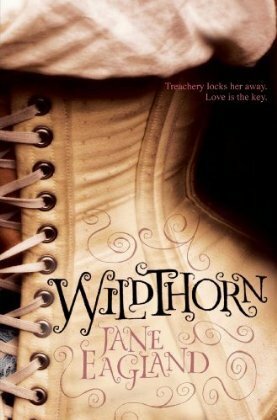 Wildthorn, by Jane Eagland, tells the story of Louisa Cosgrove - an unconventional woman of the Victorian era who is sent to a lunatic asylum in an act of treachery. Louisa is smart and fascinated by science and longs to be a doctor. She rejects the mores of her time and social peers and chooses to study rather than become a lady. However, this is all changed when her father dies and she is sent to Wildthorn Hall. Her insistance that she is sane and has been sent against her will are seen as further symptoms of insanity. The main story focuses on her time in Wildthorn, but the story is interspersed with flashbacks to her childhood and how she came to be at Wildthorn. The writing was good. I really don't have much to say about it - I don't think it's going to become a modern classic but I also had no problems with it. Nothing jumped out as anachronistic or inconsistent, which are usually the two big issues for me in historical fiction. Nothing to complain about in this one as far as the writing is concerned. I suppose you might say it was a little heavy on the feminism, but I like my feminism to be heavy, so I enjoyed it. At the same time, nothing really jumped out as remarkable. Loved it! I was completely immersed in the story from the first page. The story fascinated me and I loved the Louisa's character. She is strong and not afraid to challenge the ideas and standards of her culture. I thought the story was great and has really made me even more interested in the issues of women's medical treatment during that period (which was also a plot element in another recent read - Dracula in Love). A few reviews I read took issue with Louisa being a lesbian. Several people took issue with the fact that Louisa likes math and science and voices a desire to be a man. They said that this stereotypes lesbians and shows that they are necessarily masculine. I didn't see this in the book at all. Louisa does express a desire to be a man, but it is because of the limits placed on women at that time period. All in all, I didn't see that Louisa was an unbelievable or stereotypical character. I thought all of her actions suited her character and her history. I definitely recommend you try this one out if you like historical fiction. Also, don't judge the book by the description or the cover - I didn't find either to be a very accurate representation of the book. It's definitely not what I would consider a romance and certainly not a bodice ripper. The main focus is on Louisa and her development as a character, not on her sexuality or her romantic relationships. This is officially on my to-read list! I love books like this and can't wait to get it started. As for the book cover, I think the bodice represents the control over women of the time. Those bodices were constricting and another "power ploy" of the time. Just some thoughts.